Centre today submitted before the Supreme Court that a chargesheet will be filed in the Agusta Westland scam this year itself. “An FIR was filed on March 12, 2013. The investigation is in progress. All aspects are being probed and a chargesheet will be filed within this year”, Solicitor General Ranjit Kumar representing the Centre and CBI told a bench headed by Justice Dipak Misra. Following this submission, the bench disposed off the PIL filed by advocate Manohar Lal Sharma noting that “in view of the aforesaid statement, nothing further needed to be adjudicated”. The court however gave Sharma the liberty to approach it again if he found any shortcomings in the probe after he vehemently pleaded to keep the PIL “pending”. 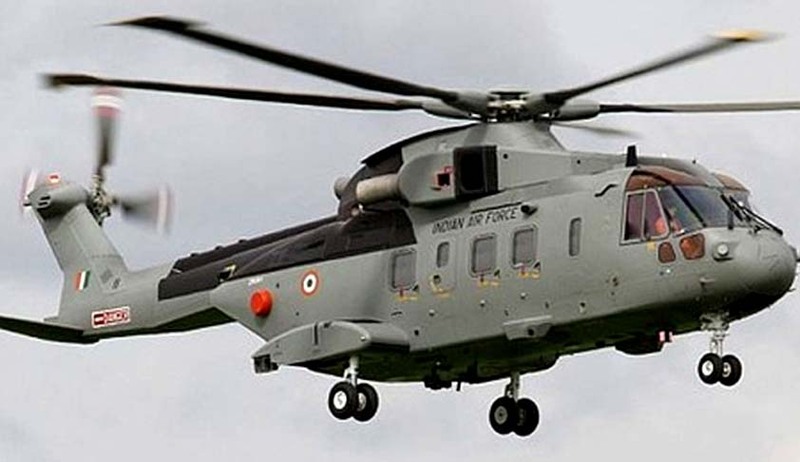 The court had on May 6 issued notices to Centre and CBI on the Public Interest Litigation for prosecution of political leaders, defence officials named in the Italian court order in Augusta Westland case. The PIL also demanded a court-monitored probe. The Central Bureau of Investigation (CBI) had already summoned Former Air Chief SP Tyagi ‘s brothers for questioning. Tyagi was grilled for the third consecutive day during which the he admitted to having financial interest in four companies. On March 25, 2013, a probe was ordered by the then Union Defence Minister AK Antony and he also admitted that irregularities had taken place and that the CBI was probing the matter. As per allegations in the matter, the former Air Chief had reduced flying ceiling of the helicopter from 6,000m to 4,500m (15,000ft). AgustaWestland helicopters were thus termed unqualified for submission of bids. When Sharma demanded that a separate FIR was required against the persons responsible for reduction of the flyiing ceiling, the SG said even these aspects were covered in the FIR already registered. Tyagi has denied allegations against him and said that it was a collective decision in which senior officers of Indian Air Force, SPG and other departments were involved. The petition comes in the middle of a massive row in Parliament over the 3,600 crore deal for the supply of 12 choppers for use by top Indian leaders including the prime minister, which was signed when the Congress-led UPA was in power. The helicopters are manufactured by Agusta Westland, whose parent company Finmeccanica is Italian; its top executives were investigated for corruption in Italy. The Italian court of Appeals has said that Agusta hired middlemen to pay bribes to decision-makers in India to swing the deal.